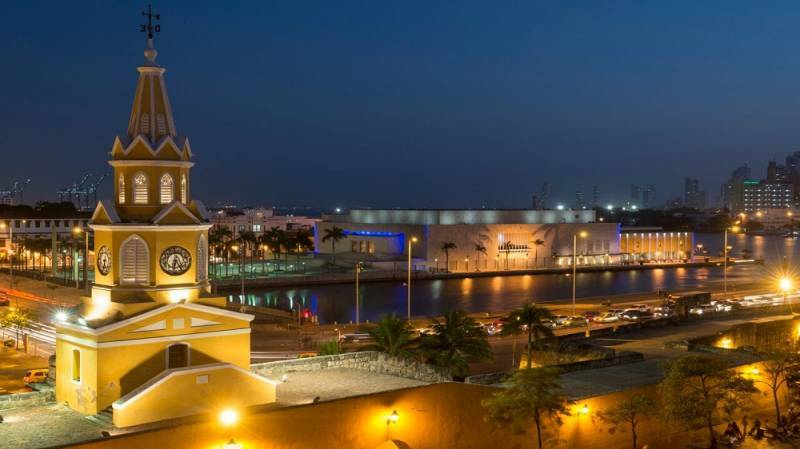 The Cartagena de Indias Convention Center has become the latest AIPC member centre to achieve AIPC Quality Standards certification with the successful completion of their audit this month by the designated external auditor. They join a group of 27 AIPC centres who have now successfully achieved this international certification, with a number of additional centres in various stages of the certification process. "The AIPC Quality Standards program was developed as an industry-specific certification for confirming and documenting a centre's accomplishments in key areas of convention centre performance, and is the only such specifically purposed form of certification in the industry", said AIPC President Geoff Donaghy. "The Cartagena de Indias Convention Center is to be congratulated on having achieved the gold level in their audit as this demonstrates to owners, colleagues and clients that they are addressing international standards of performance in their management procedures". The program standards identified and audited address ten key areas, including Customer Service, Quality of Facilities and Operations, Employee Relations, Health, Safety, Security and Emergency Response, Financial Integrity, Community Relations, Environmental Responsibility, Industry Relations and Supplier Relations. Members who complete the audit process uniformly report that it not only serves to document their procedures but also enables them to clarify any shortcomings for corrective action. The process is also seen as being an excellent team-building exercise because it involves all management staff in a collaborative effort with a clear accomplishment at the end. "In times when competition amongst various centres and destinations is more intense than ever, the AIPC Quality Standards program is a valuable way for managers to ensure they are delivering quality – a form of documentation that serves many purposes, including the reassurance of clients" said Donaghy. "As we are increasingly confronted with other standards developed by groups outside our industry and that do not necessarily reflect the realities or priorities we face as managers, it is important to have a program that entirely reflects our own needs". The External Auditor for the AIPC Quality Standards Certification program is Mr. Rick Knowlan, President, Knowlan Consulting Group Inc. of North Vancouver, Canada, which specializes in strategic management consulting.